When was the last time you tried to think outside the box in marketing your dispensary? 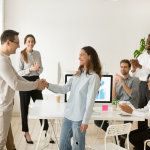 For many owners, managers and employees, just keeping the momentum of business as usual can be difficult and time-consuming enough. So, thinking about new marketing strategies is pushed to the side. 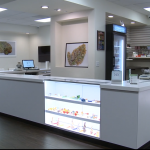 But dispensaries are increasingly competing for new customers who are trying legal cannabis for the first time. Also, with state and local restrictions on conventional marketing and advertising channels, many shops are forced to get creative with marketing. So, how do you help those people to decide to walk through your doors, not the shop down the street or around the corner? Here are four methods to help maximize your marketing and brand recognition. As you put together a plan, make sure you understand and comply with all state and local regulations before you launch your marketing campaign. Customers talk. Those who aren’t cannabis customers yet want to know about the experiences of those who are. As you create a marketing campaign, you might be tempted to focus solely on trying to make your current customers more loyal. Rather, consider leveraging the conversations that customers are having with friends and family about their experiences. One great way to leverage your relationships is through referrals. This can be as easy as handing out referral coupons for a short amount of time with all purchases. Make sure you know whether it’s legal to offer discounts on cannabis, or to offer discounts only on lighters, papers or other non-cannabis merchandise. Then train your budtenders to mention the coupons to customers, encouraging them to invite their friends and family who already consume cannabis. Make sure the coupon has clear wording that it is to be used to refer others, not so that your existing customers can use it later for themselves. If you have a sophisticated patient-tracking system, you can take this even a step further by linking a barcode on the coupon to the referring patient. If the coupon is redeemed, both the new and the existing patient can both receive a discount or special promotion. For many new customers, buying cannabis can be like walking through a maze of confusing jargon. They have no idea what a “dab” is, or what the difference is between shatter, wax and crumble. And what does a website mean when it lists different prices for flower, pre-roll and cartridges of the same strain? That’s why you should educate customers by adding a blog. It can be a great way to help potential customers understand your product and help your overall online marketing presence. Before you get started, create a reasonable and achievable schedule for writing posts. 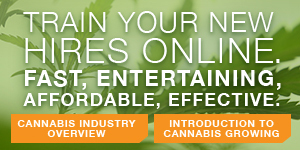 Also, get your budtenders and other front-line employees to write for the blog. This provides a meaningful training opportunity to help them understand the needs and perspectives of first-time customers. The need for education is huge, and it’ll only get bigger as cannabis becomes more socially accepted. If you’re already operating, you’re in a unique position to be on the front lines of enlightening the public about cannabis. Host events in your store—or at a neutral location, if you can get one—to help people understand cannabis. If you have outdoor space and the ability to do so, invite local musicians to play. The more you can do to help people associate your store with fun, education and good feelings, the more it’ll help your business and the industry become a normal part of society. Any in-person event must be carefully planned. Focus on removing any negative impressions about your business. Be certain that you’re not violating state laws or local codes. Also, check with your neighbors to make sure your event isn’t going to disrupt anything they’re doing or planning. If you hold an event outdoors, obtain the proper permits and comply with noise restrictions. There are many ways to get involved in your community, and many reasons to do so. But with tight restrictions on advertising, some of the best marketing comes from word of mouth. The more that your business is involved in the community, the more that people will associate your organization (and cannabis) in positive, not negative, terms. It often takes little to no money to be involved. Look for business development and networking groups to attend, such as the local chamber of commerce. Be active in your local government for more than just cannabis issues. Show people that you and your business have the best for the community in mind. Also use community events as team-building opportunities. Get a team together for the next charitable “Fun Run,” and invest in T-shirts for employees. Or join a sports league if you have enough staff members interested. If you have a budget for marketing and advertising, consider sponsoring charitable events—making sure that such sponsorship or positioning of your logo doesn’t violate any local regulations. Even if you get turned down, showing that you’re interested in supporting the needs and events of the community will go a long way toward proving that you have a legitimate small business. No matter what your marketing strategy is, keep two things in mind: 1) always challenge yourself to think outside the box and 2) remember that there are far more non-consumers who will try cannabis in the next few years than there are current ones. If you can find creative ways to market your business effectively to future as well as current customers, you’ll be able to set up your business for long-term success.